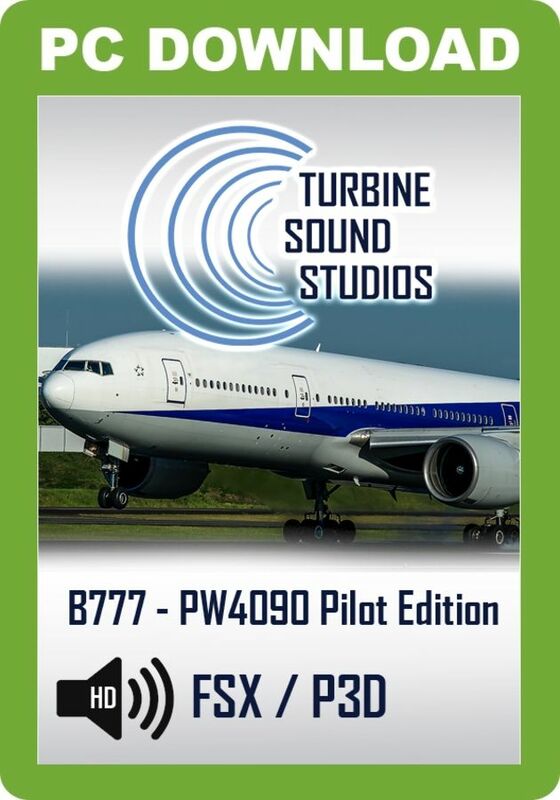 Turbine Sound Studios proudly presents the Boeing 777 PW-4090 Pilot Edition sound package for FSX and P3D, recorded in High Definition. This Pilot Edition includes sounds as heard from the cockpit. This sound package has been developed for the PMDG Boeing 777-200LR and Captain Sim Boeing 777 models for FSX and P3D but other models will also work with this sound package with some variation. Separate packages are included for the two models. The first family is the 94 inch (2.4 m) diameter fan with certified thrust ranging from 52,000 to 62,000 lbf (230 to 275 kN). 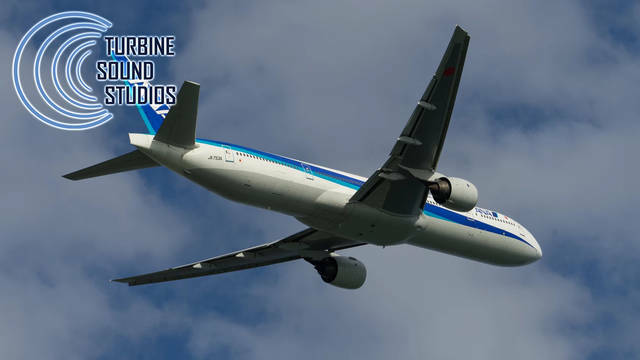 It powers the Airbus A310-300, A300-600 aircraft, Boeing 747-400, 767-200/300, KC-46A, and McDonnell Douglas MD-11 aircraft and is certified for 180-minute ETOPS if used in twinjets. These models include the PW4052, PW4056, PW4060, PW4062, PW4062A, PW4152, PW4156A, PW4156, PW4158, PW4460, and PW4462. 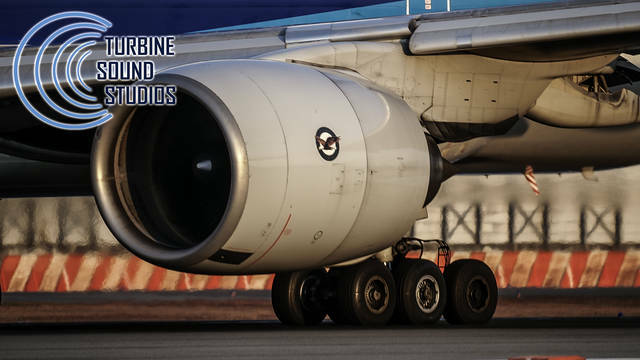 The second family is the 100 inch (2.5 m) diameter fan engine developed specifically for Airbus Industrie's A330 twinjet. It has certified thrust from 64,500 to 68,600 lbf (287 to 305 kN). Models are numbered PW4164, PW4168, and PW4168A. The launch of the Advantage70 program was announced at the 2006 Farnborough Airshow with a sale to Kingfisher Airlines. This package increases certified thrust to 70,000 lbf (311 kN), reduces fuel burn by about 1%, and reduces maintenance costs by around 15%. The third family is the 112 inch (2.8 m) diameter fan engine developed specifically for Boeing's 777 where it was the launch engine. Currently available on the 777-200ER, it has certified thrust from 86,760 to 99,040 lbf (386 to 441 kN). It entered service on June 7, 1995, with United Airlines, and was the first jet engine to enter service with 180-minute ETOPS certification. It was also an engine option for the 777-200 and -300. 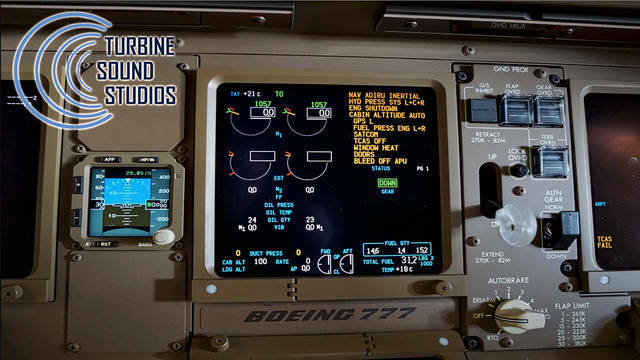 This Turbine Sound Studios Boeing PW-4090 Pilot Edition sound package includes sounds as heard from the cockpit and was recorded in High Definition. 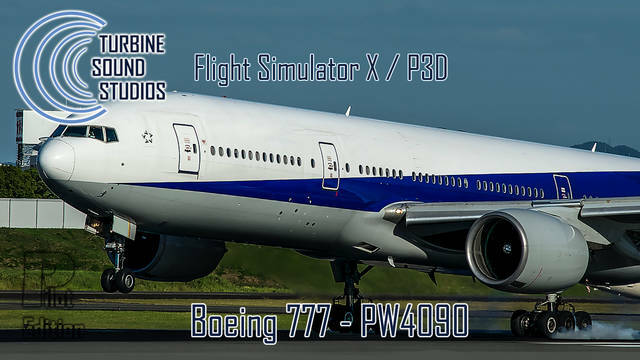 This package has been developed for the PMDG Boeing 777-200LR and Captain Sim Boeing 777 models for FSX and P3D but other models will also work with this sound package with some variation. The sound files include external and internal engine sounds, wind sounds, cockpit environment sounds and custom dynamic and distance sounds.